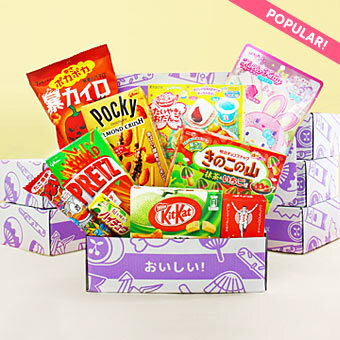 Take a peek which Japanese Halloween snacks were included in the October Japan Candy Box! 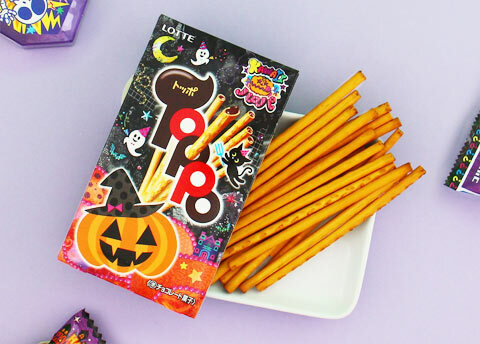 This is a limited Halloween edition of Lotte’s Toppo cookie sticks. 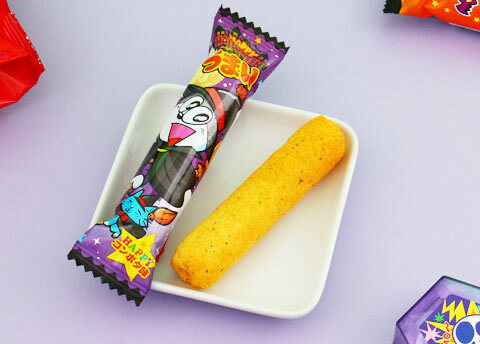 The crispy cookie sticks are filled with delicious milk chocolate. 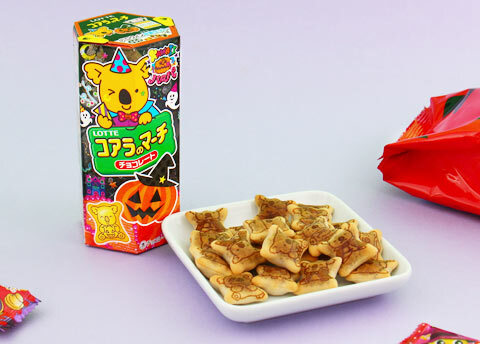 This special Halloween edition of Koala’s March has special Halloween designs on both the box and the cookies! 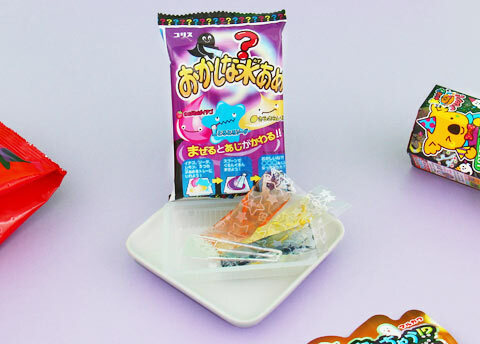 Mix the 3 different pouches of clear liquid candy to reveal a new mystery flavor! What flavor and color will come from mixing strawberry, soda and lemon? 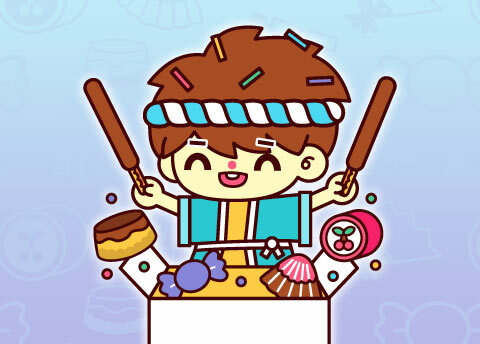 This is a traditional Japanese brown sugar treat that has been popular in Japan for generations. 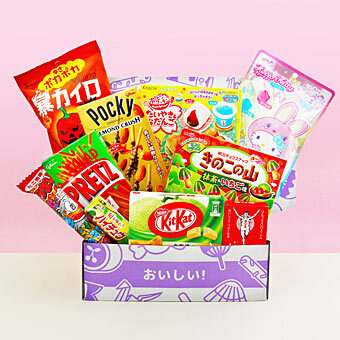 This version features a special Halloween packaging. 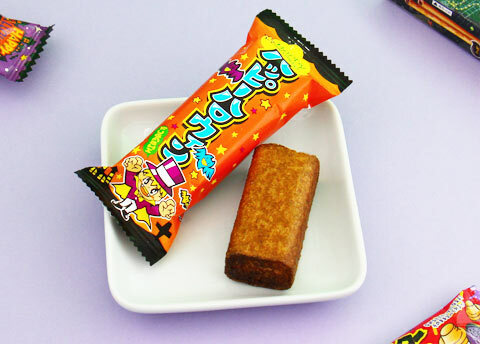 Umaibo or "delicious stick" are popular puffed corn snacks available in countless flavors. 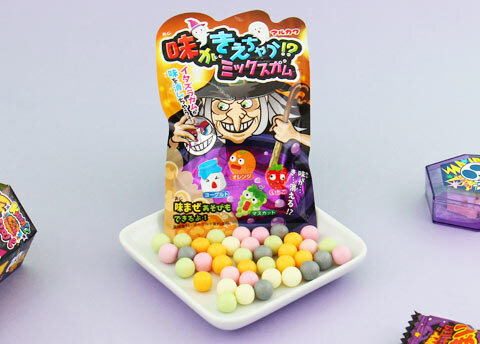 This special Halloween edition tastes like authentic Japanese corn potage soup. 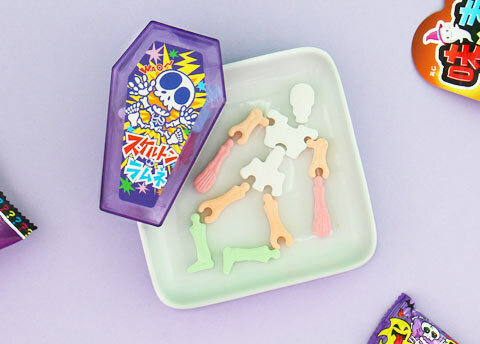 This coffin shaped box contains ramune flavored candies shaped like bones. They are like puzzle pieces which can be assembled into a human skeleton. 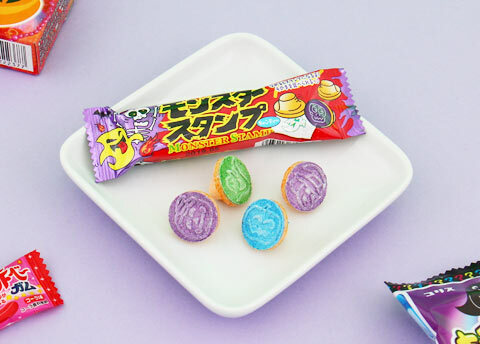 Lick these monster candies and use them as stamps or eat them just like normal candy. Each of them features different spooky icons! 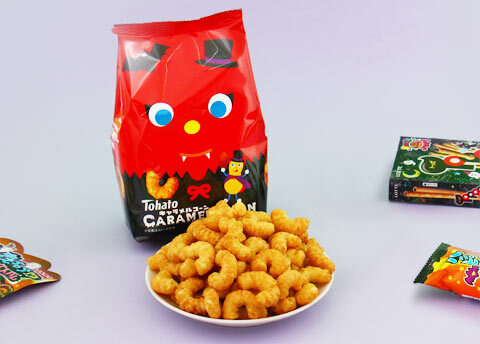 Tohato has made these famous caramel corn treats since 1971. This special Halloween edition has pumpkin pudding flavor. The witch is brewing mystery flavors. Can you guess what will come next? By combining all 5 flavors the taste disappears. 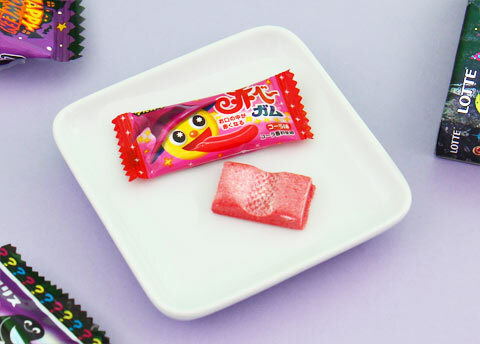 This cola flavored gum will change the color of your tongue to red or black when you chew it. Play some tricks with your friends! 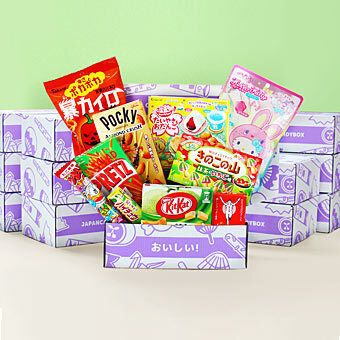 Subscribe now and your first Japanese candy box will ship in a few days!